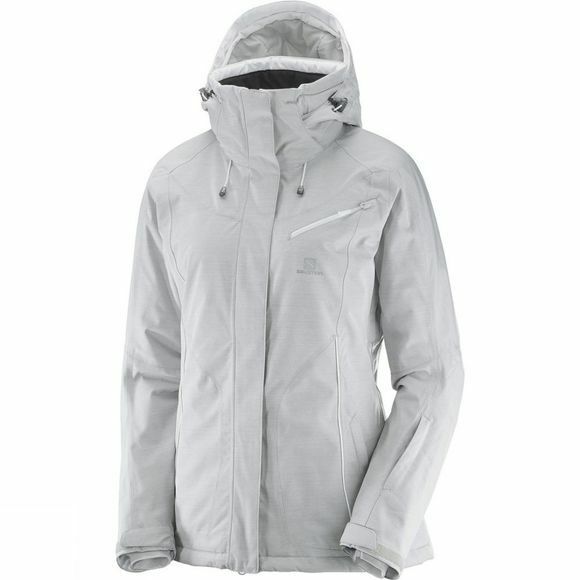 The Women's Fantasy Jacket from Salomon is an outdoor inspired jacket that offers the technical performance that makes it as comfortable skiing in a blizzard as it is strolling wintery city streets. Warm, waterproof and breathable, the Fantasy jacket features Salomon's AdvanedSkin Dry and AdvancedSkin Warm insulation, for all day comfort. Featuring a flattering women's silhouette and media pocket for even more versatility, the Fantasy Jacket is an essential piece to your winter wardrobe.